May 8, 2017 By Chelsea T.
The US is filled with a number of haunted places, some located in the biggest of cities that everyone knows about, and others in small towns that only locals may know of. In Indiana, there are a ton of spots that have ghost stories attached to them. For those who enjoy all things paranormal, this list consists of some of Indiana's most haunted destinations that come along with some seriously spooky stories that only confirm rumors surrounding the locations. Check them out below and start planning your next Haunted Road Trip throughout Indiana to see the destinations for yourself! 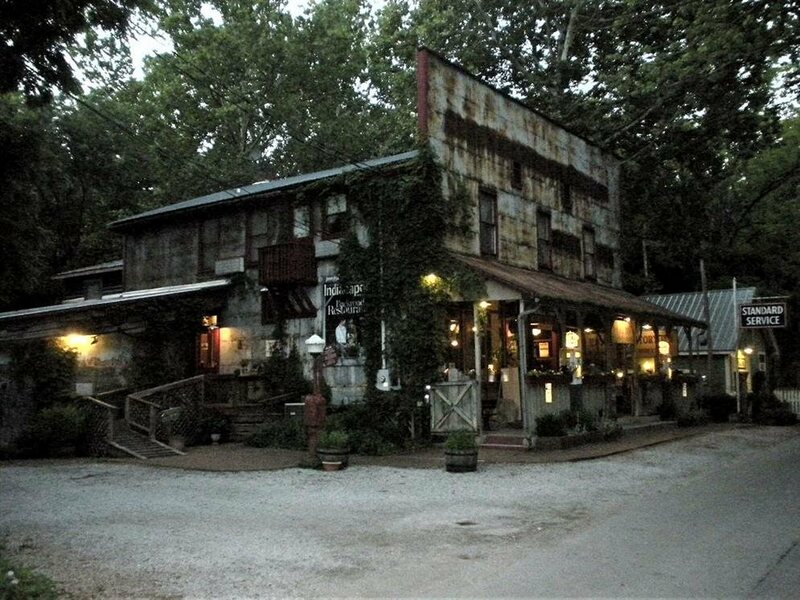 The Story Inn offers dining, lodging and events, and even some ghosts, too! Or so they say. Dating back to 1851, the inn has kept a number of haunting records written by guests in guest books. Many described the ghost known as "The Blue Lady." Believed to be the wife of Dr. George Story, a doctor who was associated with a crew of timber harvesters who built town structures, her ghost has been spotted on various occasions, by different people. She has been spotted in the guest rooms above the restaurant, and seems to leave blue items behind, or manifest with the smell of cherry tobacco, which was said to be a favorite of hers. Stories say her ghost can be summoned by turning on the blue night next to the bed - in what room? The Blue Lady Room! Yes, that's right, she even has her room! 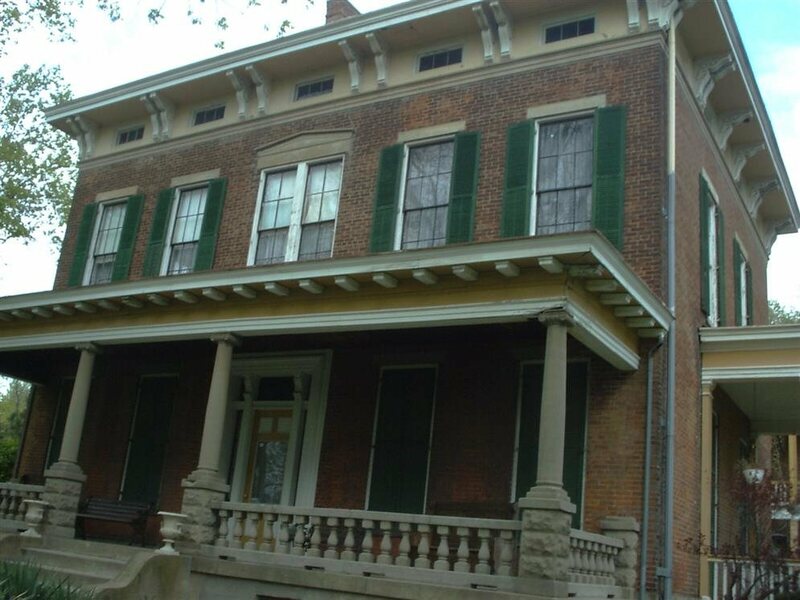 This historic mansion was built in 1858 and stories say it was used as a passage for the Underground Railroad. According to the home's official website, a small group of slaves had traveled north secretly, in search for freedom when they came to the Hannah House. They were welcomed with open arms, and were given food and drinks, and slept in the basement of the home on the straw-covered floor. While the group was sleeping, an oil lantern accidentally got knocked over, causing the oil to soak the floor and start a fire. Some were killed from the fire, others from smoke inhalation. The home's owner, Alexander Hannah, woke to find the slaves dead, and he buried their bodies in the basement. Some of the slaves from that tragic night are said to still linger the home to this day, and Hannah himself has also appeared as an apparition on several different areas of the property. An older woman's spirit has also appeared upstairs, in and surrounding a particular room. Other haunting reports here include the sounds of whispering voices and a chandelier that eerily swings back and forth. Tours are available at the home for those brave enough to check it out for themselves! This library is the oldest in all of Indiana, which means there have been countless years for haunting stories to accumulate! Famous for its personal service and treasured special collections, the Willard Library features Victorian Gothic architecture and a spirit known as "The Grey Lady." Her ghost was first spotted by a janitor in the 1930s, and ever since then, a number of people have tried searching for her. According to the library's official website, a group of psychics visited in 2007 and were able to confirm that a ghost had been there. Employees have also spotted the ghosts of a former children's librarian, Margaret Maier, and library assistant, Helen Kamm. Some of the eerie occurrences at the library include strange noises, cold spots, the smell of perfume, water that turns on and off by itself, odd items found throughout and feelings of being touched on hair and earrings. The Grey Lady hasn't been spotted since 2010, where she was seen in the hallway of the basement. Tours are offered each October for those who would like to explore the library in search of its resident ghost! 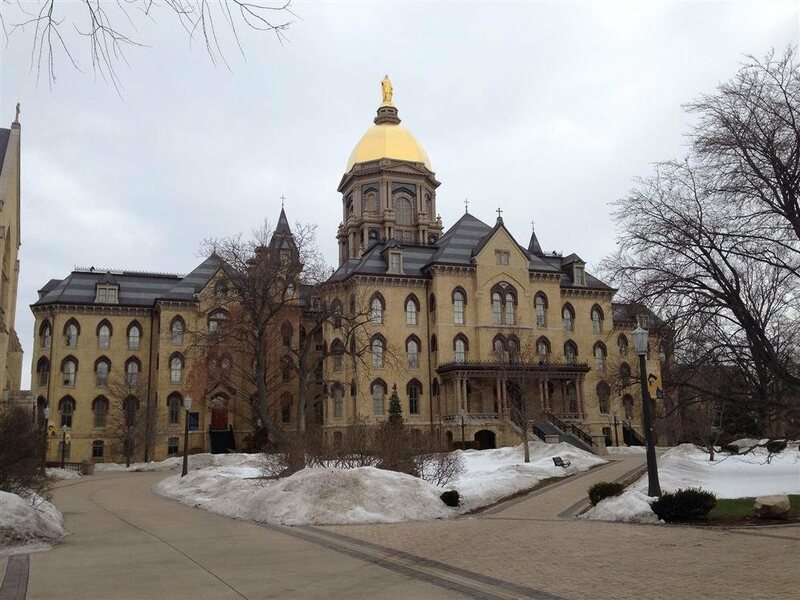 The University of Notre Dame is apparently not only known for its academics and athletic teams, but some ghost stories, too. Washington Hall is known to be haunted by the ghost of a former football player named George Gipp. He passed away here in 1920 after falling ill, and is said to manifest by slamming doors, making eerie sounds, disembodied footsteps, and shoving people. His apparition has also been seen, sometimes giving a student a pat on the back. Stories also say the university is haunted by American Indian ghosts who roam the grounds near Columbus Hall, which was said to have been built on an ancient burial ground owed by the Potawatomi. Located on Avon's County Road 625, about half a mile south of U.S. Highway 36, this bridge is a well known spot for paranormal activity. Stories surrounding the bridge have been around for quite some time, and although stories vary, most agree it is haunted. If you wander near the bridge at night, it's been said you can hear a moaning, angry ghost, or maybe a couple of them. If you go over the bridge on a hot summer day, you may even see the ghost's tears on it. With a number of explanations for the haunts circulating over the years, it is hard to tell exactly what or who haunts the bridge, but some stories are more popular than others. An alcoholic construction worker named Henry Johnson slipped one night while building the bridge, and fell into wet cement, dying there by himself. He was found the next morning with his face frozen into the cement. His ghost could be the one lingering, or it could be that of an Irish or African American construction worker who fell to his death while constructing the bridge. He fell inside the framework of one of the bridge's supports, and it was said the railroad still sealed the support with cement, since he was already dead. Some say his arm hung out, and they cut it off. This historic home was the residence of William Culbertson, who was once the richest man in Indiana. 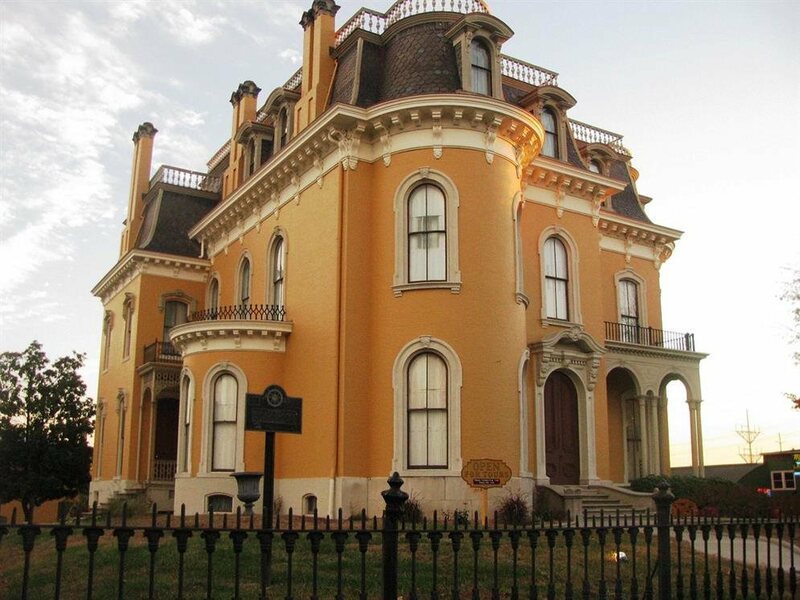 It was built in 1867 and cost just $120,000 to build, and featured 25 rooms within 20,000 square feet. After Culbertson died, the home was left to his third wife who ended up auctioning off the house in 1899 to John McDonald for $7,100. The site was converted into a Halloween Haunted House but real haunting stories that have been reported at the home include missing items, cold spots, flickering lights, disembodied footsteps and doors that shut on their own. The mansion's Carriage House is also said to be haunted, and has a morbid story attached to it, which may be the reason why it's said to be haunted. In 1888, it burned down after it was struck by lightning, killing all those inside. The spirits lingering at the carriage house are believed to be the unfortunate ones who died in the fire. Haunting reports at the carriage house include clanging sounds, unpleasant smells and the apparition of a dark man. A family named Webb lived in the home in the 1900s, and was also the location of Dr. Webb's office building. The hauntings took place while the family lived in the home, and it was said that Dr. Webb lost his patience. His family members were found murdered in every room of the house, and in the basement, police found Dr. Webb's torture chambers where he would conduct experiments on his patients. The house was boarded up for many years after these findings, until it was purchased in the 1940s by the American Legion. Built in 1922, this bridge is located over Little Walnut Creek and was the last covered bridge built in all of Putnam County. It's most common ghost story involves a ghostly young girl who died after she had gone swimming in the creek below the bridge. She often did this as she lived nearby to the bridge and her parents would drop her off on their way to town. When they returned one day to pick her up, she didn't respond to their car honks, and she was found dead. Stories say the little girl drowned, but other circumstances surrounding her death are unknown. Different variations of the story say her mother then hung herself from the bridge not long after her daughter's death. While another says her father was actually the man who built the bridge, and named it after his daughter. 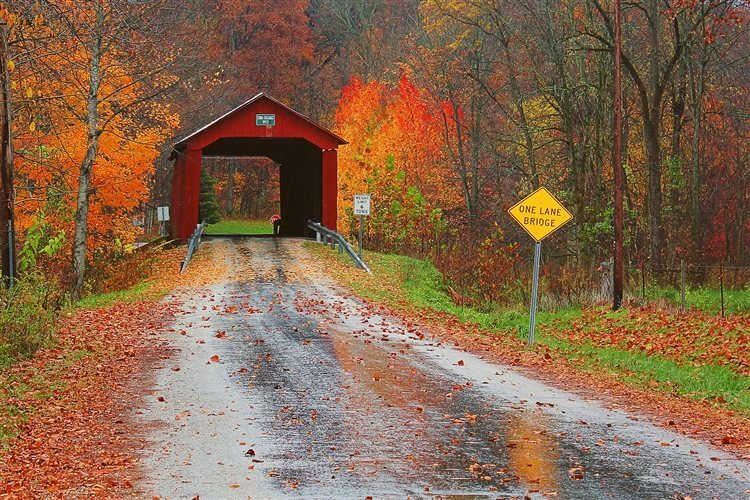 So how does the young girl haunt this Indiana bridge? Supposedly, if you drive onto the bridge, turn your car off and honk three times, Edna will appear and try to get in your vehicle. Some have also found child size hand prints on their cars, and have heard the sound of a young girl laughing. Dating back to 1848, this hospital was originally the Indiana Hospital for the Insane, until it became Central State Hospital in 1926. It is believed to be haunted by former patients who were abused during the hospital's dark past. The hospital closed down in the early 1990s due to a combination of factors, including the unspeakable treatment of patients and too high of expenses. The city of Indianapolis purchased the hospital, and its 160 acres, for $400,000 in 2003. 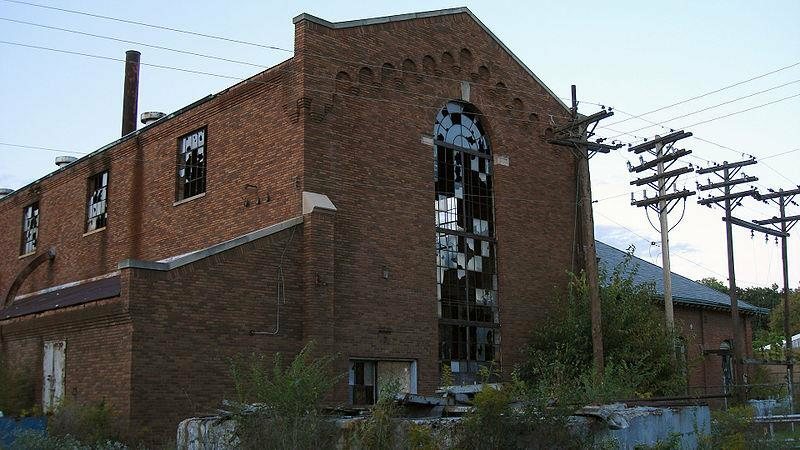 Ten years later, a number of the buildings were purchased by a company known for refurbishing buildings that have been left in shambles or abandoned. Haunting stories here include eerie shadows, apparitions, footsteps, unexplained sounds, moans, women's screams and electrical devices that turn on and off by themselves. Pretty much every cemetery gives visitors an eerie feeling, but this one is said to be just a little creepier than others. Located in the small town of Brazil, stories say that once you wander up the stairs and make it to the top, you'll turn around and see a wicked presence of some sort. A legend even says that this entity will reveal the date of your death! 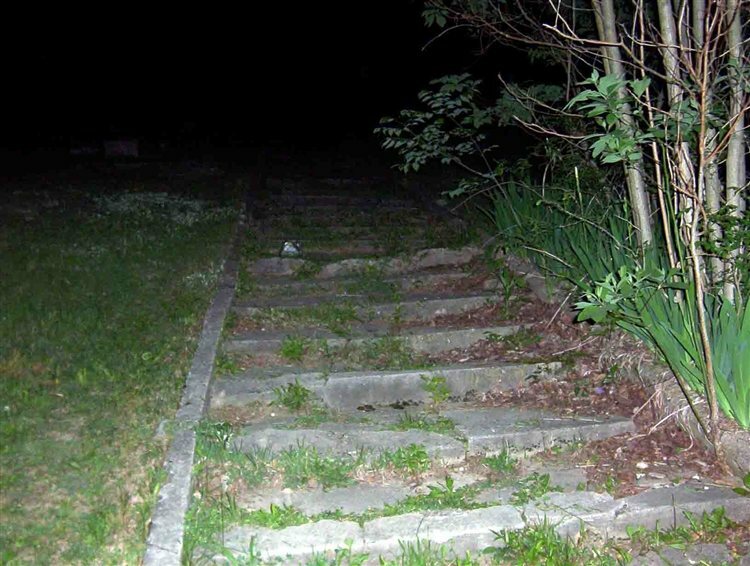 Another story surrounding this cemetery involves the number of stairs - some say if you walk up and count, you'll count 100 steps, but on the way down there will only be 99. For this to happen, it must be dark outside and extremely hard to see. The haunting stories may vary, but one thing is for sure - this cemetery is surely a place of paranormal! 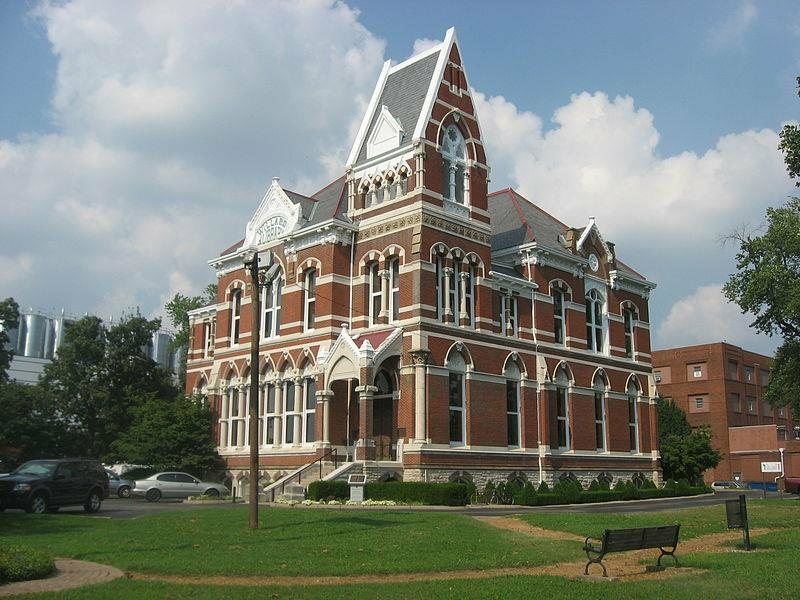 This historic home features Gothic Revival style architecture and was built in the 1870s. The residence belonged to the Rand family and ever since 1997, has been a place of paranormal activity. The home was moved from its original location on Southport Road to a short distance away, when an Indianapolis photographer took a photo of the home. The photo showed a ghost peering out of one of the upstairs windows, even though no one was inside the home at the time. Ever since the ghost made its appearance, there have been a number of claims reporting that the home is haunted by a young girl who was killed in an accident near the house. According to Haunted Rooms, Legend says the home once operated as a boarding house back in the day, and a resident hanged himself in one of the upstairs bedrooms. Other stories say the residence was a stop on the Underground Railroad. Haunting reports here include the smell of burning flesh and blood dripping through the walls. 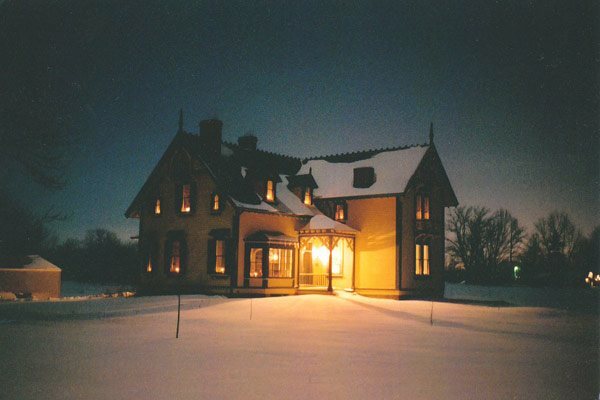 A number of paranormal investigations have taken place at the home and in 2003, it was added to the U.S. National Register of Historic Places. Click here to read about more Haunted Places in Indiana!